Mountaineers all around the world dream of climbing Aconcagua. The highest peak in South America attracts thousands of climbers each year, who make the pilgrimage to the Southern latitudes of Argentina to reach this major goal. This fascinating ascent experience starts off in the beautiful city of Mendoza, land of wine and adventure. Aconcagua’s 6,961 meters (22.840 ft) above sea level make it the highest point in the Western and Southern hemispheres. It is part of the majestic Andes mountain range, and one of the legendary Seven Summits (the highest mountains in each of the 7 continents). So what do you need to keep in mind when planning your very own Aconcagua climb? We’ve broken down the very basics in 12 pro tips to help you out as you start planning your –why not?– next mountaineering adventure in the Andes. Aconcagua’s climbing season is here! Check out all the upcoming dates in 2018 – 2019 and join a group! To get started, you will need to get to the city of Mendoza, usually flying in from Buenos Aires (Argentina) or Santiago (Chile). The climbing season for the Aconcagua ascent is from November to March. The very final day to enter the Aconcagua Provincial Park is the last day of February. Since December and January are the months with more favorable weather, this is when most expeditions take place. High season is considered to be from December 15th to January 31st. Keep in mind that the ascent permit fee varies across the seasons (low, mid, high). Finally, there are off-season exceptional ascents, although these are exclusively for highly experienced mountaineers. The Argentine flag in one of the camps along the way. Photo: courtesy of Tomás Ceppi. There are two main routes. The Aconcagua ascent through the Normal Route is the most popular one. It takes between 18 and 20 days, although there are shorter programs of 12 days (have a look at this personal account by Oleksii, who did the Aconcagua fast 12-day ascent with guide Gastón Oyarzún and described it as “the most powerful emotion in my life”). Given its peak altitude (6,961 m), acclimatization is central to the itinerary. This is one of the parameters that accounts for the duration of the different expeditions. These ranges of days include some extra days in case of bad weather, so you still have the chance of reaching the summit. The Normal route consists of the ascent through the North-Eastern ridge, entering through the Horcones valley. The base camp is at the famous Plaza de Mulas. 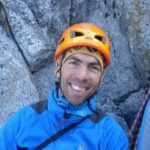 Local EPGMAT certified guide Sebastian Tetilla offers an 18-day program via the Normal Route, as well as an extended version of 20 days, for those who need extra acclimatization. The alternative Polish Route -also known as “False Polish” or “Polish Traverse Route”- can take around 17 days, and has a similar level of difficulty than the Normal Route, and presents no technical difficulties. It is not to be confused with the Polish Glacier Route (with its two variants, the Original and the Direct), which involves actually reaching the summit via the Polish Glacier, which requires experience in glacier traverse. Another usual itinerary is the 360° route, which combines the Polish and Normal routes. It starts off at the Vacas Valley and has its base camp at Plaza Argentina. Later, the descent is the same as in the Normal route. Other much harder and challenging routes require vast rock and ice climbing experience, such as the ascent through the South face, which is a top goal only suitable for extremely advanced and pro mountaineers. 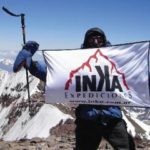 Check out all the programs to climb Aconcagua led by local certified mountain guides through Explore-Share! Local guide Gaston and a guest on a 12-day ascent through the Normal Route. Photo: courtesy of Gastón Oyarzún. To pursue the Aconcagua ascent you will need a very good fitness level, in order to keep up with the high altitude over a period that ranges between 18 and 20 days. Yet, given that it is not a difficult ascent from a technical point of view, it is goal reachable by people with different levels of experience. This is why the “Colossus of America” is considered the highest non-technical mountain in the world. Previous mountaineering experience certainly helps, but is not essential. For your safety and enjoyment, look for guides with UIAGM/IFMGA certification, AAGM certification (Argentinean Mountain Guides Association), or EPGAMT certification (Provincial School of Mountain and Trekking Guides, Mendoza). There are plenty of specialized agencies in Mendoza, but the most important thing you should look for is that they work with guides that hold any of the certifications above. South Face point at 4050m. Photo: courtesy of Tomas Ceppi. During the climbing season (November-March) temperatures vary considerably, and change throughout the day and night. In Plaza de Mulas (base camp for the Normal Route), temperatures can get as low as -18°C in bad weather conditions. At high camps, temperature is generally around -25°C. Above 5,000 m, temperatures below -20°C are common. On the summit, temperatures can easily reach -30°C. Your equipment needs to be complete and with high quality items. The following is a general list, which you should go over with your guide before the expedition. Clothing: light weight plus expedition weight long underwear, fleece jacket and trousers, parka suitable for expeditions, water proof and breathable jacket, wind pants. Head: sun hat, wool hat, goggles, balaclava, safety helmet. Gloves: first layer gloves, and fleece waterproof gloves. Guides and agencies normally take care of tents and food. Climbers make a stop at Confluencia (3,400m). Photo: Courtesy of Tomás Ceppi. 7. OPEN OR PRIVATE GROUPS? Both alternatives are possible. If you are alone, there are certainly many open expeditions for the Normal Route and the 360° itinerary along the season. Alternatively, for more technical options, private guiding is the way to go. Prices depend on the chosen route, and guides or agencies. A regular Normal route, 18-day expedition can cost between US$3,800 and US$4,500. Prices normally do not include the ascent permit fee. For more info on this topic, check out our blog post: How much does it cost to climb Aconcagua? Camp at Nido de Condores (5600,m). Photo: courtesy of Gastón Oyarzún . Official permits are required to ascend Mt Aconcagua. They are processed in person in the city of Mendoza, before the ascent. Most guides and tours offer help along the process, although the cost of the permit is not included in their overall fee. Ascent permits for the Normal Route range between US$291 – US$800, depending on the season and your nationality. Over 5000m altitude makes the ascent significantly more difficult. Photo: courtesy of Tomás Ceppi. Physical fitness is of course essential to attempt this ascent. But above all, the key is acclimatization! Itineraries between 18 and 20 days are thought out with this in mind and include climbing other mountains in the area prior to the big ascent. This 18-day program guided by Pablo Kuntz, for example, includes an acclimatization ascent to Cerro Bonete. But if you prefer a program with a shorter itinerary, an interesting option is to use an Altitude Training System with a Hypoxic tent, so you can acclimatize while you’re still at home (only available for rental in Canada and the US). IFMGA-certified guide Rodrigo Mujica offers a 12-day ascent to Aconcagua, by using this acclimatization method. As much in advance as possible is of course always better. Spots for expeditions during the high season (mid-December to the end of January) tend to sell out quickly. Those for mid or low season usually have better availability. Guides that work independently usually take one or two groups per season. To increase your chances, consider requesting your booking 6 months before the high season begins. Mules on the ascent to Mt. Aconcagua – Mendoza, Argentina. Mt Aconcagua is located in the province of Mendoza, on the Andes range, close to the Argentina-Chile border. Apart from the Aconcagua ascent, there are many rock climbing, mountaineering and trekking activities available, many of them starting in the city of Mendoza. EXTRA. Do you want a first-hand Aconcagua sneak peak? 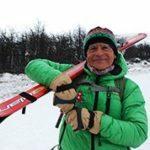 Have a look at what Pablo, EPGMAT certified guide, told Explore-Share.com about the Aconcagua experience on our “Meet your guide” video series.